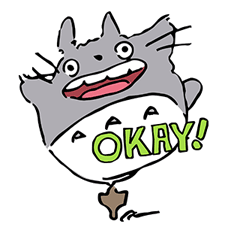 http://www.line-stickers.com/ – Totoro and Kodama Line Sticker | Totoro and the Kodamas become stickers as part of the “au loves Ghibli” campaign! Send them to your friends to celebrate! Available till September 28, 2014.